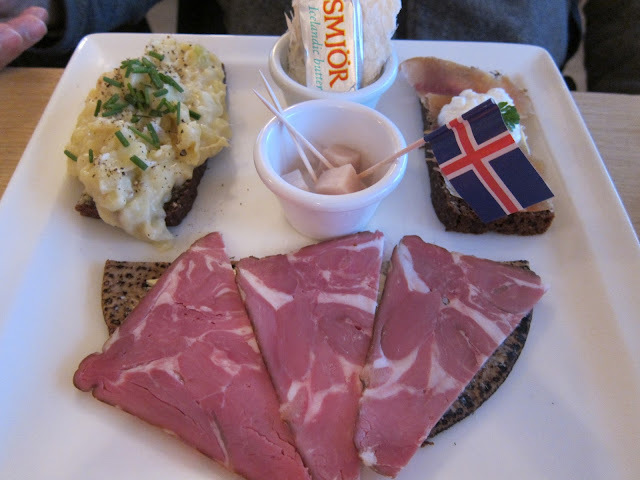 Some of my best food memories from traveling take place in Reykjavik. Not of traditional Icelandic food – which is pretty good and interesting – but of the awesome world-class cuisine in this charming city. Food I had but wished I didn't: Thai Chicken noodle soup. 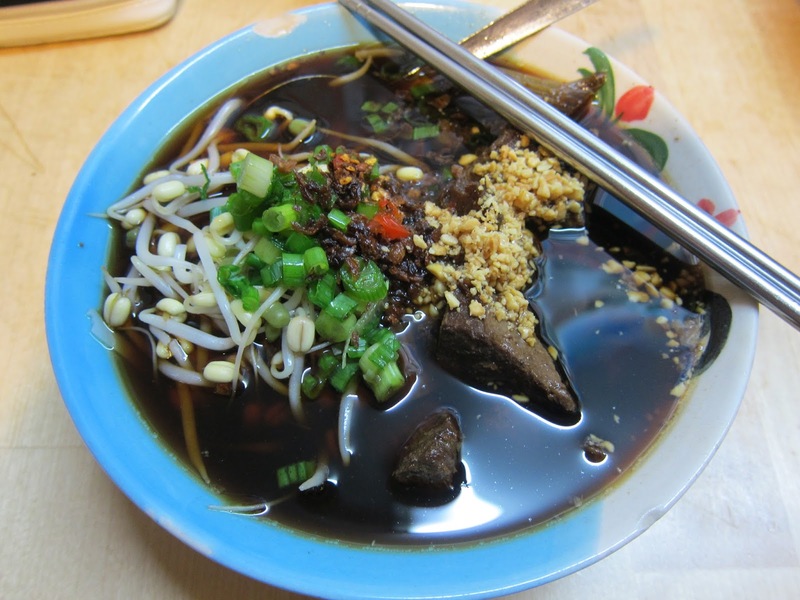 My second time at this popular place was so spicy it was almost inedible. 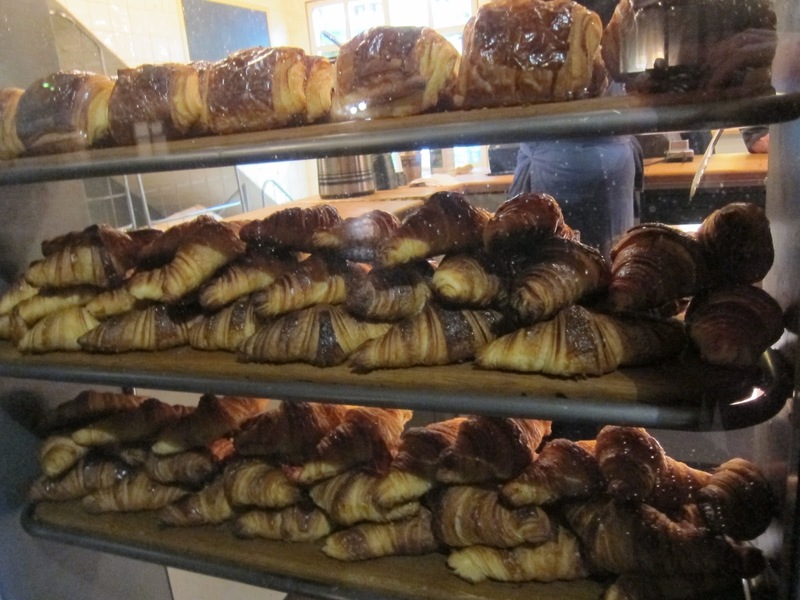 What should have been on the list: Pastries and break. Biggest surprise: Dunkin Donuts is in Iceland and their local offering are fantastic! When Dunkin Donuts opened only a few years ago its drew lines in the hundreds. I was able to try some hassle-free at the airport. 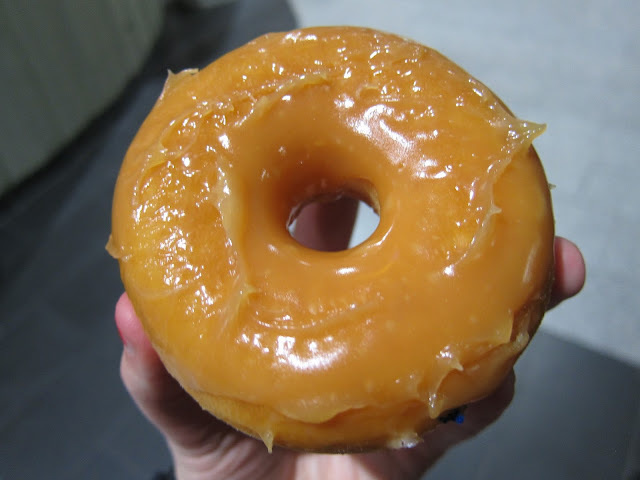 The Caramel Glaze Donut was phenominal – with soft moist caramel that tastes so sugary and fresh. 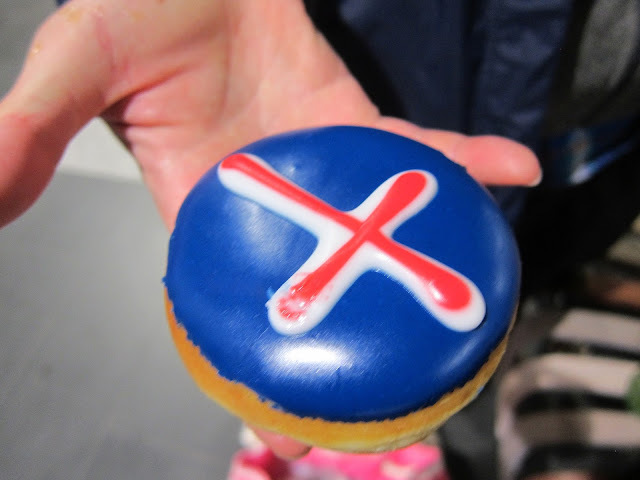 I also tried the Icelandic flag donut which was beautiful, patriotic and cream filled! 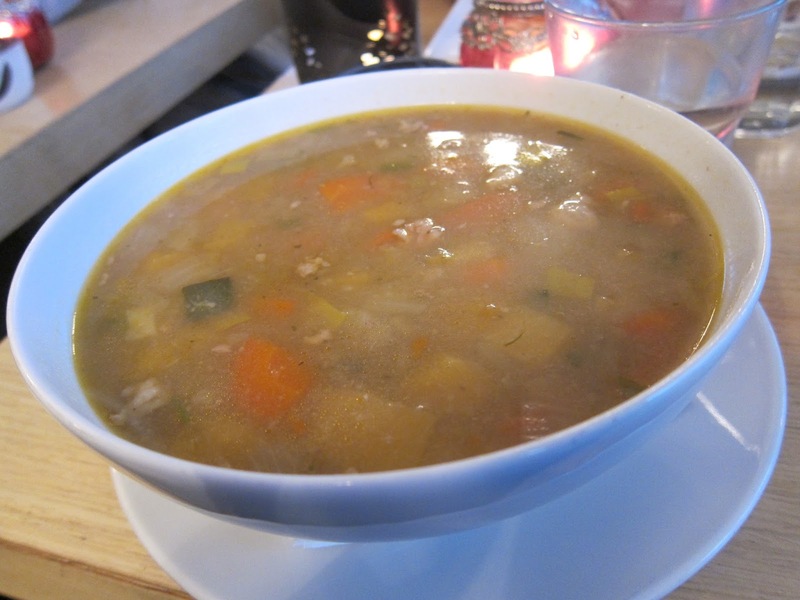 Traditional Icelandic Stew and meal at Café Loki. CafeLoki is one of the best places to get traditional food that is both affordable and casual. We went here last time and on our return visit, I treated myself to the stew and Icelandic Plate. 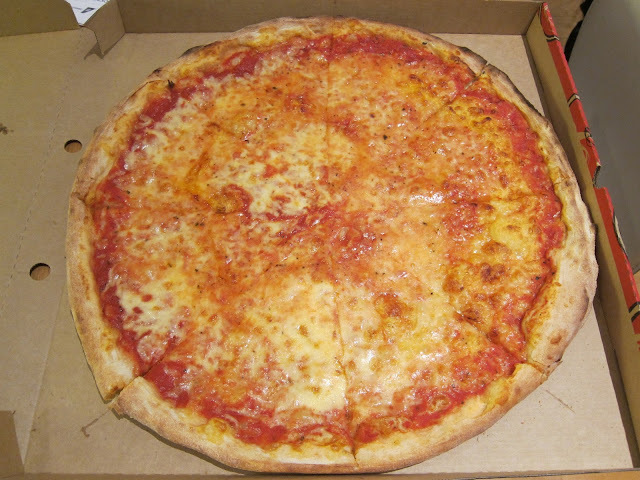 Devitos pizza is really a treat – and at about $14 USD for an entire pizza, it’s one of the cheapest meals you can have in Iceland. The shop itself does not offer much in the way of seating, so I have only ever enjoyed Devitos from the comfort of an apartment. 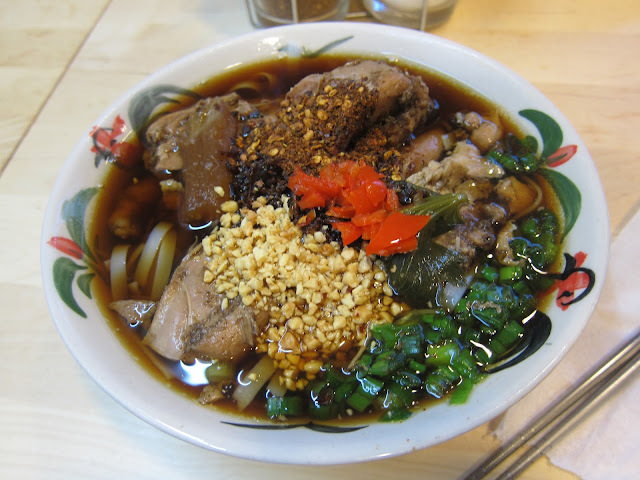 Noodle Station is also a new surprise for Reykjavik, and they serve only three dishes: beef noodle soup, chicken noodle soup, and vegetable noodle soup. The first time we went we ordered the beef and I think I said “no spicy” which was still really spicy. The second time we ordered the chicken and I said “a little spicy” and it was almost inedible. 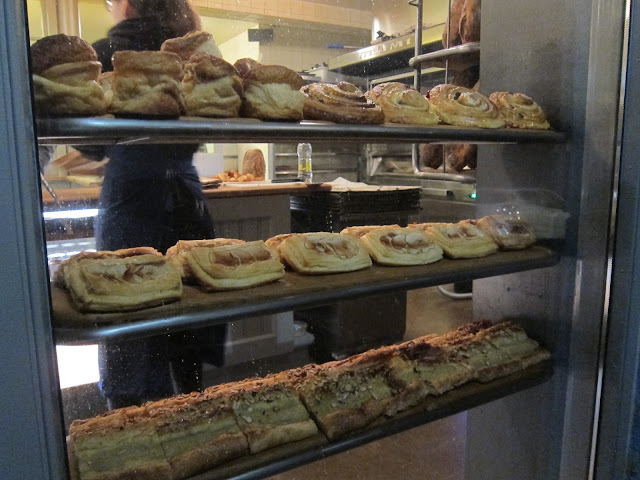 Brau is an amazing pastry shop that was right next door to our apartment. 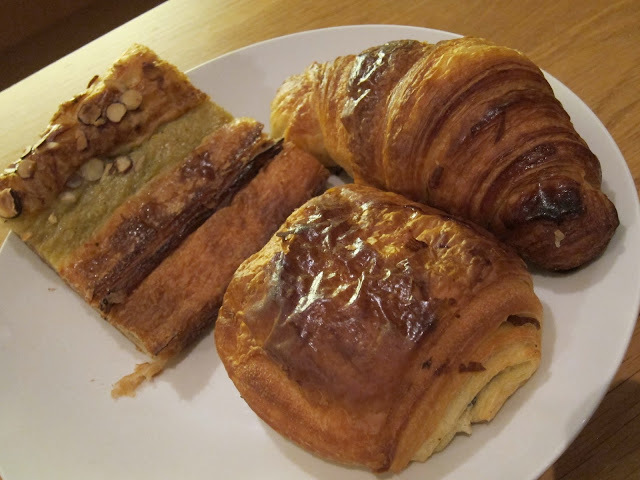 Every morning we ate buttery croissants, chocolate croissants, and other sweet and savory pastries. Who knew pastries in Iceland could be so good! 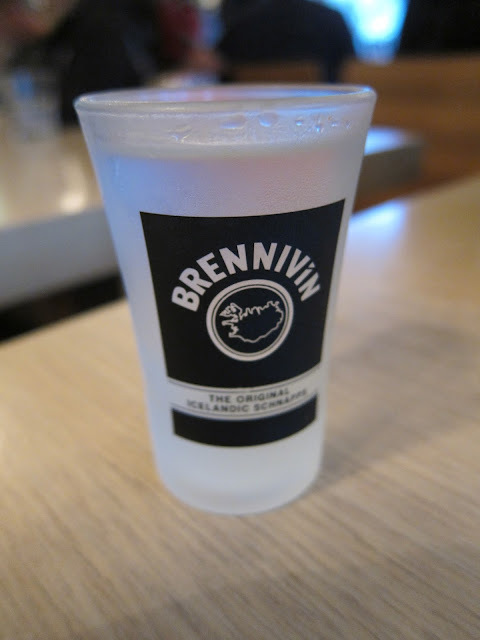 Labels: 2016, Food, ICELAND, ICELAND Reykjavik, What Do I Eat?